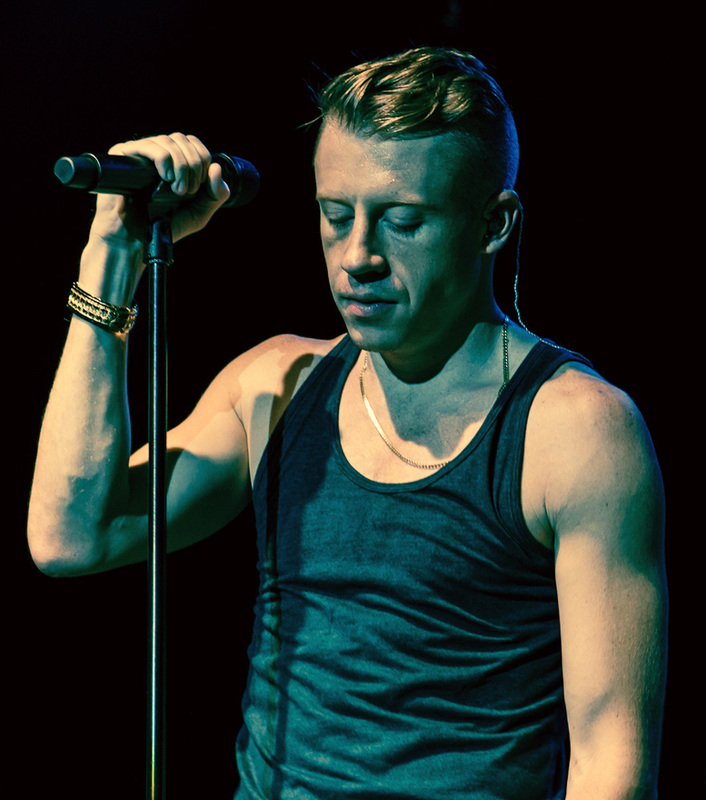 Seattle-based hip hop duo Macklemore & Ryan Lewis rap and produce songs on a variety of topics. Ranging from seemingly trivial things like Brad Pitt and mopeds to more serious matters like gay marriage and drug addiction, Ben Haggerty and Ryan Lewis’s songs cover a large portion of the social and political spectrum. Just recently, they released a new single, “Drug Dealer” (featuring Ariana DeBoo), an unofficial trilogy alongside “Otherside” and “Kevin” (featuring Leon Bridges), all anthems concerning the relative ease of access and detrimental use of pharmaceuticals. Macklemore’s songs that deal with real world issues are always accompanied by choir-like hymning, so it was nice to hear DeBoo’s harmonizing on the intro and the chorus. It added an ethereal, almost church-like feel to the track, an intentional play to convey the severity of the issue. Ryan Lewis’s production on these types of songs generally feature solemn tones from piano and cello, a nice compliment to Haggerty’s intense vocals. Macklemore’s lyrics, always the subject of debate, were quite solid, providing visual imagery while communicating his angst with the matter at hand (“Walking carcass, I lost everything I wanted / My blinds drawn, too gone to leave this apartment”). Despite this, the autotune in the last verse broke the continuity of the track. Macklemore made a similar mistake during the intro to “Kevin,” where the upbeat scratchy introduction provides a different emotion than the rest of the song. The release of the single came almost immediately after Macklemore’s MTV documentary with President Barack Obama, “Prescription for Change: Ending America’s Opioid Crisis,” aired. In it, they both delved deeper into the implications of drug addiction and the role that “Big Pharmacy” plays in exchanging lives for profit. Surely with all this media attention surrounding opioid addiction and its real life repercussions both Haggerty and Lewis successfully used their platform as performers to shine attention on the problem.